If you’ve had your share of giant lizards, talking turtles, and caped crusaders, we have some good news: The summer-movie season is coming to an end. It’s time for Hollywood to roll out the high-brow award contenders, charming little festival darlings, and the smarter blockbusters. In other words, the fall-movie season has officially arrived. 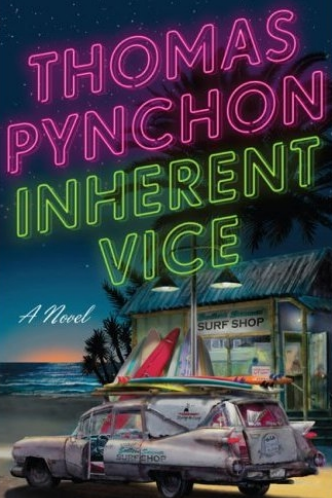 And, there is much to look forward to: David Fincher’s moody crime thriller Gone Girl, Paul Thomas Anderson’s oddball mystery Inherent Vice, plus more than two dozen others we've rounded up here. The season will reach its fever pitch in November when the annual Hunger Games movie once again hits theaters, obliterating everything in its wake. Jennifer Lawrence has become as reliable as Santa Claus this time of year, and we wouldn’t have it any other way. So, who will be joining Katniss and Co. in making this a season to remember? Check out our definitive fall movie preview to find out. An intimate look at one couple’s attempt to salvage a crumbling marriage. There’s a new genre emerging in Hollywood that depicts the disintegration of a relationship from a fresh perspective. Think Eternal Sunshine of The Spotless Mind, Blue Valentine, and 500 Days of Summer. The latest anti-romance romance stars Jessica Chastain and James McAvoy as the star-crossed lovers. First-time director Ned Benson shot two movies, one from each perspective, and then combined them into one heartbreaking account of things falling apart. See it if you love films that are true to life. Skip it if you haven’t yet recovered from watching Ryan Gosling and Michelle Williams break up in Blue Valentine. Estranged twins bond after having near-death experiences on the same day. What do you get when two Saturday Night Live legends join forces for a movie? In the case of The Skeleton Twins, it's not quite what you’d expect thanks to toned-down performances from Kristen Wiig and Bill Hader, who star as the titular twins. While Wiig has already proven she can carry a movie on her own, it’s Hader who shows flashes of a future leading man. See it if buzzy Sundance crowd-pleasers are your thing. Skip it if the idea of Bill Hader in a drama is funnier than every Stefon sketch. The latest YA-novel-turned-movie features a group of teens who must join forces to escape a deadly maze. Katniss might have some competition from the latest dystopian YA book to be adapted for the big screen. Based on the best-selling series by James Dashner, The Maze Runner lacks the star power of the Hunger Games franchise, and will rely on Teen Wolf star Dylan O’Brien and the book’s rabid fan base to sell tickets. See it if you can’t wait until November for your YA fix. Skip if if you were disappointed by The Giver. A death in the family reunites four siblings in this star-studded adaptation of Jonathan Tropper’s novel. We’ve seen a glut of family-reunions-gone-bad on the big screen lately, but none of them feature Tina Fey in her first dramatic role. A dysfunctional family including Fey, Jason Bateman, Adam Driver, and Corey Stoll are forced to sit shiva under the same roof for a week after the death of their father. Get ready for Liz Lemon’s sad face. See it if annoying brothers are something you can relate to. Skip it if the idea of seeing Tina Fey cry makes you cry. Keira Knightley avoids adulthood by befriending a group of teens. Anyone who saw Lynn Shelton’s highly overlooked Your Sister's Sister and Touchy Feely will likely agree that her latest has the potential to be the breakout hit of the fall. Laggies stars Keira Knightley as a woman mired in arrested adolescence, and Chloë Grace Moretz stars as her teenage spirit guide. This is the first time Shelton has some major star power behind her, which should help introduce her crowd-pleasing, slice-of-life brand of filmmaking to a wider audience. See it if you can relate to girl-in-a-quarter-life-crisis movies like Frances Ha. Skip it if you find stories about women who can’t get their act together depressing. Ben Affleck gets dark in David Fincher’s latest whodunnit. Apart from a certain sequel about a certain badass dystopian heroine, there’s no film as highly anticipated this fall as David Fincher’s adaptation of Gillian Flynn’s best-selling novel, Gone Girl. Affleck stars as a man who finds himself at the center of an investigation into his wife’s (Rosamund Pike) sudden disappearance. While just about everyone and their mother knows how the book plays out, Flynn rewrote the ending just for the movie. With Mr. Twist-Ending himself at the helm, expect the new climax to send WTFs reverberating through multiplexes well into the winter. See it if you’re still bummed they never made a sequel to The Girl With The Dragon Tattoo. Skip it if you’re thrilled they never made a sequel to The Girl With The Dragon Tattoo. An intimate look at how modern technology has changed the way we connect with one another. In this sexually charged family drama from director Jason Reitman (Up In The Air, Juno), Adam Sandler and Jennifer Garner head a family who turn to technology for comfort instead of each other. The film’s first teaser suggests that Reitman plans on depicting the Internet on-screen in a way no director has before. Ansel Elgort and Emma Thompson also star. See it if you’re curious to see an '80s-style family drama updated for the Twitter generation. Skip it if a look at our secret lives online hits too close to home. A precocious boy and his family have the worst. day. ever. Although fall may be the season in which Hollywood unspools its more prestigious fare, that doesn’t mean there’s no room for some some good old-fashioned fun. This year, the hijinx come in the form of this big-screen adaptation of Judith Viorst’s children's classic. While the book focused on the titular, calamity-prone 11-year-old, the film shines its light on his father, who’s played by none other than Steve Carell. See it if you think Carell and Jennifer Garner make a great on-screen couple. Skip it the child inside of you died a long time ago. Robert Downey Jr. is a hot-shot lawyer about to embark on the biggest case of his life. It’s rare thing to see an on-screen iteration of Robert Downey Jr. that’s not buried in gold-plated armor. That’s what makes this courtroom drama so promising. Instead of saving the world, Downey must save his father (Robert Duvall), who’s been charged with murder. Billy Bob Thornton costars as the bull-headed prosecutor. See it if you’ve been dying to see Robert Downey Jr. play someone other than Tony Stark. Skip it if you have daddy issues. An ambitious young musician is pushed to the brink by his abusive teacher. Wunderkind filmmaker Damien Chazelle’s debut feature may explore the relationship between a musical prodigy and his teacher, but Mr. Holland’s Opus this ain’t. Miles Teller shines as an aspiring jazz drummer who becomes embroiled in a twisted game of cat-and-mouse with his maniacal teacher, played chillingly by J.K. Simmons. After taking home the top prize at this year’s Sundance, the film earned a one-way ticket to a theater near you, smack dab in the middle of awards season. See it if you don’t mind holding your breath for two hours straight. Skip it if you have a heart condition. Michael Keaton stars as a washed-up actor attempting a comeback. Mexican auteur Alejandro González Iñárritu — best known for his stark, straight-faced dramas (21 Grams, Babel) — completely flips the script with this absurdist black comedy. Rather than fade into obscurity, Keaton’s over-the-hill character attempts to revive his career via a Broadway play. Emma Stone, Edward Norton, Zach Galifianakis, and Naomi Watts also star in likely the biggest head-scratcher of the year. See it if you’ve longed for the days when Michael Keaton was a leading man. Skip it if you find Terry Gilliam’s absurdist brand of filmmaking a touch off-putting. A scathing satire about race relations in young America. Though Justin Simien’s debut feature may not have a boldface name to carry the load in a season full of stars, in the end, it may not matter. The film — which follows a group of African American students as they adjust to life at a predominantly white college — was a hit at Sundance, where it won the Special Jury Award for Breakthrough Talent. Hopefully, it will find an audience in moviegoers searching for something outside the usual holiday fare. See it if you’re the person who recommends Do The Right Thing to all your friends. Skip it if Higher Learning turned you off to college-set movies that attempt explore racial politics. Jake Gyllenhaal as you’ve never seen him before. Few urban underbellies are seedier than L.A.’s., which makes the City of Angels a perfect backdrop for this pulsating nocturnal fable, from first-time director Dan Gilroy. An emaciated Jake Gyllenhaal stars as a manic TV crime reporter who’ll stop at nothing to get a story. See it if you’ve been waiting for the Taxi Driver of our generation. Skip it if you want to continue living in a world without scary Jake Gyllenhaal. KStew flexes her acting muscles as a Guantanamo Bay soldier who befriends a detainee. Ever since the curtain closed on the Twilight series, Kristen Stewart has been desperately searching for a breakout role that could cleanse our collective palettes of Bella Swan. In this intimate new drama from rookie director Peter Sattler, KStew may have found just what she’s been looking for. It’s a provocative morality tale that poses difficult questions, chief among them — can Stewart actually act? The answer: hell yeah. See it if you feel like exploring the morally complex landscape of a post-9/11 world. Skip it if you think the words “KStew” and “morally complex” should never be mentioned in the same sentence. Matthew McConaughey and Anne Hathaway team up to save the world. It’s been four long years since Christopher Nolan directed a non-Batman movie. The last time the ambitious auteur left Gotham, he gave us the mind-bending sci-fi saga Inception, so you can understand why the world awaits his brand-new space odyssey with bated breath. Newly minted Oscar-winner McConaughey is an engineer who must travel to the depths of the cosmos to save the human race from imminent extinction. Hathaway, Jessica Chastain, Casey Affleck, and Michael Caine also appear in what will be one of the most talked about films of the year. See it if you have a thing for blockbusters with a brain. Skip it if you’re still trying to understand the ending of Inception. The world’s most famous physicist gets a biopic. After a string of supporting roles, we’ve yet to see what British up-and-comer Eddie Redmayne is truly made of. That’s about to change. The 32-year-old actor takes on the renowned theoretical physicist Stephen Hawking, as he falls in love with first wife Jane (Felicity Jones), develops the ideas that would make him an icon, and descends into the abyss of a crippling motor neuron disease. This one has Oscar written all over it. See it if you love stories about the perseverance of the human spirit — think The Diving Bell and The Butterfly. Skip it if movies that deal with illness make you uneasy. An unrecognizable Steve Carell breaks bad in this true crime drama. If someone had told you that this year’s Best Picture frontrunner would be an unnerving psycho-drama starring none other than Steve Carell and Channing Tatum, you’d have them committed. But, after Bennett Miller’s (Moneyball) taut parable about an obsessive millionaire (Carell) and his macho wrestler muse (Tatum) completely tore through Cannes, Foxcatcher is poised to body-slam the competition come Oscar night. See it if you have a major prosthetic nose fetish. Skip it if buying Steve Carell as a creepy eccentric sounds like too much of a stretch. Five soldiers try to survive behind enemy lines in this ultra-violent WWII drama. Apparently Brad Pitt didn’t quench his thirst for Nazi blood in Quentin Tarantino’s Inglourious Basterds, because he’s back for more in David Ayer’s unflinching WWII shoot-em-up. As the rugged tanker Wardaddy, Pitt must lead his motley crew against the Germans, just as the war is coming to an end. The last time Ayer stepped behind the camera, he gave us the visceral day-in-the-life cop chronicle End of Watch, so expect plenty more bullets this time around. See it if you were a fan of Pitt’s recent hipster haircut. Skip it if you own Inglourious Basterds on DVD. Katniss is a rebel with a cause in the penultimate Hunger Games movie. If it feels like Lionsgate rolls out a new chapter of the Hunger Games every year — they do. After Catching Fire became the highest-grossing film of 2013, can you blame them? 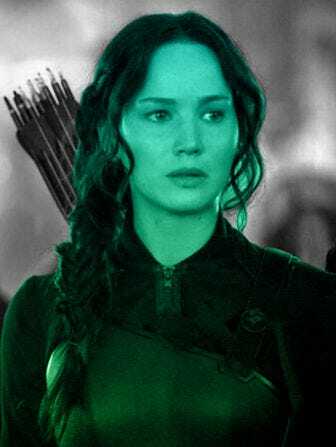 Jennifer Lawrence — who’s at the peak of her powers — will again be joined by Josh Hutcherson, Liam Hemsworth, and Philip Seymour Hoffman, as well as newcomer Julianne Moore, who plays District 13’s President Coin. Oh, and the what-will-JLawr-say-next press tour should be pretty fun, too. See it if you worship at the temple of JLawr. Skip it if you want to be excluded from every conversation ever. Benedict Cumberbatch brings the brilliant mathematician Alan Turing to life. After a sizzling string of star-making performances, the white hot U.K. import is ready for the spotlight. The film follows Turing as he attempts to crack the infamous Enigma code used by the Germans in WWII, as well as the aftermath, when Turing was prosecuted for his homosexuality. It's the kind of complex and fearless role that Cumberbatch was born to play (sorry, Sherlock). See it if you’re unfamiliar with Turing’s inspiring but tragic story. Skip it if you think British period pieces are for the birds. Reese Witherspoon treks cross-country in this real-life salvation story. Witherspoon plays Cheryl Strayed, the former heroin addict whose memoir Wild: From Lost to Found on the Pacific Crest Trail, the film is based on. The last time filmmaker Jean-Marc Vallee directed a rom-com vet in a thought-provoking biopic, Matthew McConaughey won an Academy Award for Dallas Buyers Club. And, if the gripping first trailer for Vallee’s follow-up is any indication, Witherspoon should probably start clearing some space on her mantle. See it if Witherspoon’s sudden resurgence gets you as excited as we think it does. Skip it if even the thought of a 100-mile hike leaves you exhausted. Ridley Scott takes on the bible. It’s been five years since Ridley Scott directed a sweeping historical epic (Robin Hood), and and another 10 since he made a good one (Gladiator). The British director looks to regain his hold on the swords-and-sandals genre by pitting Christian Bale’s Moses against Joel Edgertion’s Ramses. Sigourney Weaver, Aaron Paul, Ben Kingsley, and John Turturro round out the impressive cast. See it if you love the scale of classic Hollywood epics like Lawrence of Arabia. Skip it if you find Ridley Scott’s whitewashing of the bible somewhat objectionable. Photo courtesy of Penguin Press. Joaquin Phoenix stars as a P.I. in over his head, in this psychedelic noir romp from Paul Thomas Anderson. Only a select few have seen PTA’s closely guarded adaptation of Thomas Pynchon’s crackpot detective novel, but of those who have, the word “masterpiece” has been mentioned. We wouldn’t expect anything less from PTA, whose increasingly impressive oeuvre leaves him right up there with the great American masters. With the help of Phoenix — who stars as the druggy gumshoe Doc Sportello — and a boldface supporting cast top-lined by Reese Witherspoon, Josh Brolin, Owen Wilson, and Benicio Del Toro, we may just be looking at Anderson’s best film yet. Since this is the man who brought us Boogie Nights, There Will Be Blood, and most recently The Master, that’s an awfully exciting thought. See it if you think Phoenix's last two performances in Her and The Master were as good as any this decade. Skip it if you're not a fan of PTA's depictions of masculine bravado. The latest installment of Bilbo Baggins’ adventures in Middle-earth. We’re kind of bummed that Peter Jackson’s latest take on JRR Tolkien’s catalog isn’t called The Hobbit: Really, Another One? But, it’s hard not to get excited whenever the Middle-earth gang gets back together for one more go at saving the world. Martin Freeman returns as Baggins, and he’s once again joined by franchise regulars Ian McKellen, Elijah Wood, Orlando Bloom, Evangeline Lilly, Cate Blanchett, and the rest of the pointy-eared clan that make up Tolkien’s expansive universe. See it if you've already seen every other film in the LOTR/Hobbit franchise. Skip it if Westeros has surpassed Middle-earth as your go-to destination for all things fantasy. The Broadway classic gets a hip-hop makeover. It’s a hard knock life for Quvenzhané Wallis, who plays the world’s most famous orphan in this modern retelling of the classic musical. Jamie Foxx stars as Daddy Warbucks’ counterpart Benjamin Stacks, while Cameron Diaz will put her stamp on the boozy orphanage matriarch Miss Hannigan. Will Smith and Jay Z produce, which means the soundtrack should be banging. See it if '80s nostalgia is your thing. Skip it if you think some classics are better off untouched. Real life BFFs James Franco and Seth Rogen reteam to assassinate Kim Jong Un. There’s no such thing as bad publicity, which is good news for professional stoners Seth Rogen and James Franco, whose upcoming buddy comedy drew the ire of North Korean dictator Kim Jong Un. Why? Because it’s about two Americans who attempt to kill North Korean dictator Kim Jong Un. Sony reportedly rejigged a controversial scene, and has slated the Rogen-directed laugher for a coveted Christmas release date after encouraging test screenings, potential nuclear war be damned. See it if you dreamed of a Pineapple Express sequel. Skip it if being part of an international incident makes you uncomfortable. Johnny Depp as a wolf, Meryl Streep as a witch. Need we say more? No holiday movie season would be complete without a mob of stars in full song-and-dance mode. This year, Emily Blunt, Anna Kendrick, Chris Pine, and James Corden will do the honors in this adaptation of Stephen Sondheim’s wildly popular Broadway show. While we’re looking forward to their interpretations of our favorite fairy-tale archetypes, it’s Streep and Depp who will likely do most of the scene-stealing. See it if you know all the songs to Sondheim’s West Side Story by heart. Skip it if you prefer your musicals on the stage. Angelina Jolie puts on her director’s cap for the inspiring true story of U.S Olympian-turned-POW Louis Zamperini. Angelina Jolie may be toying with the idea of quitting acting, but she shows no signs of vacating the director’s chair anytime soon. This World War II drama will mark her third time behind the camera, and it might just be Jolie’s most ambitious effort yet — the kind of far-reaching epic befitting of a more seasoned director. She admitted as much, saying, “This hardest thing I've ever done." Consider all the obstacles she’s encountered throughout her life, this one’s a must-see. See it if you want to support the work of female directors making big-budget movies. Skip it if you think there’s just one too many war movies out this fall. Photot courtesy of The Weinstein Company. The triumphant tale of acclaimed 1950s painter Margaret Keane. Despite what you may think, the title of Tim Burton’s latest is not a reference to its star Amy Adams. Instead, it’s a paean to the doe-eyed children Adams’ character became famous for painting. Christoph Waltz stars as her husband, who took credit for his wife’s work in the '60s. The last time Burton made a biopic about an outsider artist, we got Ed Wood, so yeah, we’re all in on this one. See it if you’re ready for the first truly great film about a female artist since Frida. Skip it if you still can’t forgive Tim Burton for Dark Shadows. Bradley Cooper stars as one of the most prolific killers in U.S. military history. B. Coops has quickly become an awards-season staple, after turns in both Silver Linings Playbook and American Hustle earned him Oscar nods. It looks like the actor will once again be a red-carpet mainstay come fall thanks to his role as Chris Kyle, the Navy SEAL Sniper whose memoir the film is based on. Clint Eastwood directs, which explains the high profile Christmas Day release date. Start pressing that tux, Bradley. See it if these pictures of Bradley Cooper made you curious. Skip it if a Clint Eastwood film hasn’t done it for you since Million Dollar Baby.